Cell types. Each cell is genetically customized to do its unique job in the body. Red blood cells are shaped like lozenges so they can float easily through the bloodstream. 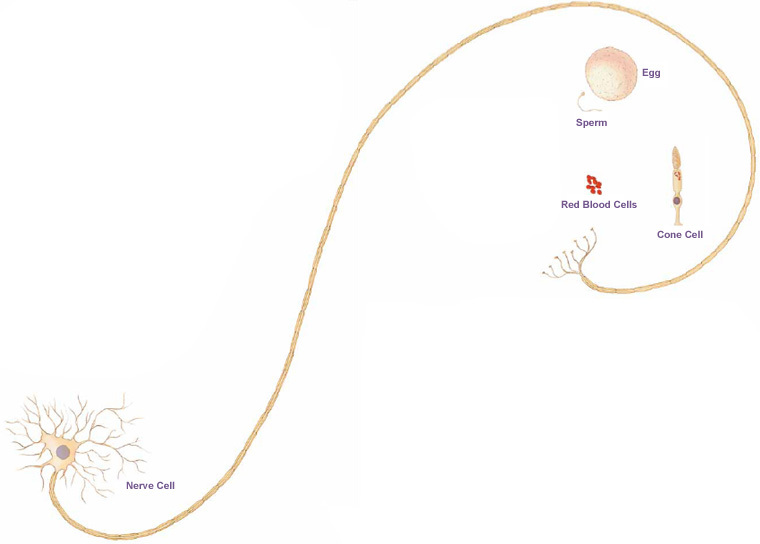 Nerve cells have long, invisibly thin fibers that carry electrical impulses throughout the body. Some of these fibers extend about 3 feet—from the spinal cord to the toes! Also shown here, sized proportionately,are a human egg cell, sperm cell, and cone cell of the eye (which allows you to see in color).